U.S. stock-market investors have plenty of potential headwinds to monitor, a list that includes trade policy, central-bank policy, and rises in commodity prices, inflation, bond yields, and the U.S. dollar, but one of the biggest risk factors may be essentially invisible. still haven’t fully recovered from. While broad-market correlations have been receding since February, major indexes have at the same time been taking their cue from technology stocks, which have led the market higher for years and could just as easily lead it lower. meaning that as correlations increase, market volatility is likely to follow. According to data from S&P Dow Jones Indices, the daily correlation for the S&P 500 averaged 0.373 in April, a fairly typical figure. A reading of zero would mean no correlation, while perfect correlation would be expressed as a reading of 1.0. Periods of low correlation typically go hand-in-hand with low-volatility environments, as the market’s gainers end up offsetting the losers. When a majority of stocks are moving in the same direction, the daily moves in the broader indexes are obviously higher. Correlations hit a multiyear low of 0.099 in December, but surged to 0.595 in February. They moved lower over the subsequent two months, and are on track for another monthly drop in May, as recent readings have come in under 0.2. However, while broad-market correlations have been dropping, the S&P 500 remains highly correlated to technology stocks. According to DataTrek Research, correlations between the sector and the index have been around 0.95 since February, meaning the two are moving in near-perfect lockstep with each other. That has helped the market recently, as tech remains the strongest-performing sector of the year, but “in terms of portfolio diversification, it is a dud,” wrote Nicholas Colas, DataTrek’s co-founder. Earlier this month, DataTrek calculated that the price correlation between the average S&P 500 sector and the index overall was 0.75, up from 0.55 last year. 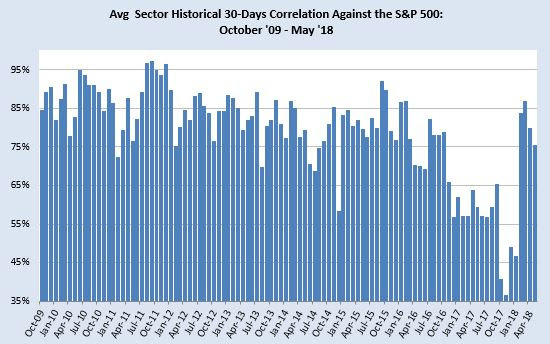 “In other words, the daily move in the S&P 500 ‘explains’ +50% of any sector’s one-day price action now versus just 30% last year,” Colas wrote. , a popular gauge that measures options investors’ expectations for volatility over the coming 30 days, is currently trading around 13, well below its long-term average between 19 and 20. 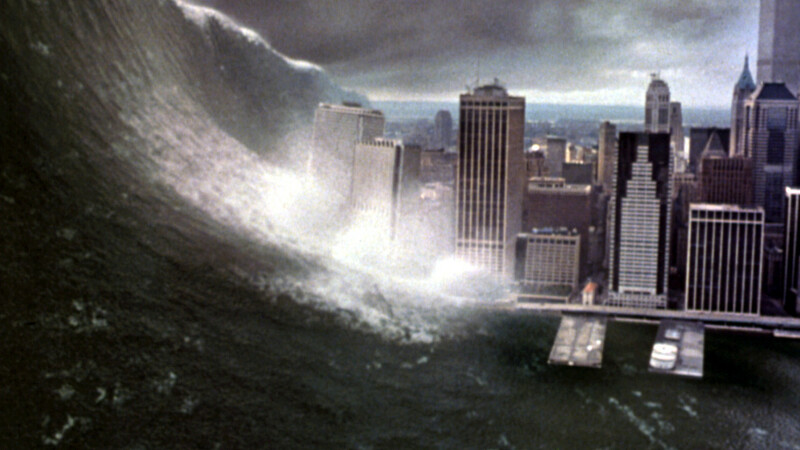 0 responses on "Here’s the hidden stock-market risk investors need to watch out for"